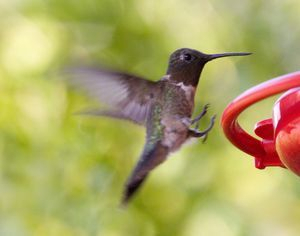 Get ready for the spring migration of hummingbirds by learning how to prepare your yard or garden for their arrival. The right habitat will supply these jewels of the sky with enough food and nesting opportunities that they will make their home in your neighborhood. Need help in how to tell one red bird, or one blue bird, or one yellow bird from another? This program by Master Naturalist Anne Parmley will concentrate on the field marks and sounds of birds commonly found in southern Illinois. An optional hike will follow, weather permitting. Retired archaeologist and author Michael McNerney traces the history of the necked discoid gravemarker, which appears in 41 cemeteries in 12 counties of southern Illinois. Explore the wildlife, spring flowers, history and hydrology of the Cache River Watershed on this guided van tour for seniors and persons with physical limitations. The tour will explore a section of the Tunnel Hill State Trail between the Cache River Wetlands Center and Vienna. For departure times and required reservation, please call the Wetlands Center at 618-657-2064. The whooping crane is a very rare bird. In 1941, only 15 remained in the last wild flock in North America. In 2004, ten chicks from an artificial breeding program were chosen as pioneers to start a new flock. This month’s film, the NATURE program Flight School, tells their story. Do you enjoy making observations in nature and want to share them with others, but don’t know where to start? Join Erin Medvecz from University of Illinois Extension to learn about available citizen scientist opportunities and how to collect and share data. Programs covered include Project Budburst, I-TICK (Illinois Tick Inventory Network), Wild Spotter or EDDMaps (Early Detection & Distribution Mapping System), Project FeederWatch or eBird, and CoCoRaHS (Community Collaborative Rain, Hail & Show Network). Note: this list is subject to change. The day will include indoor and outdoor components. Please bring a sack lunch. Share in the excitement of birds taking up residence in your yard by examining the construction of birds’ nests. Learn how to build an easily constructed nesting box to install on your property, and learn about other nesting box designs to encourage a variety of bird species to your landscape.